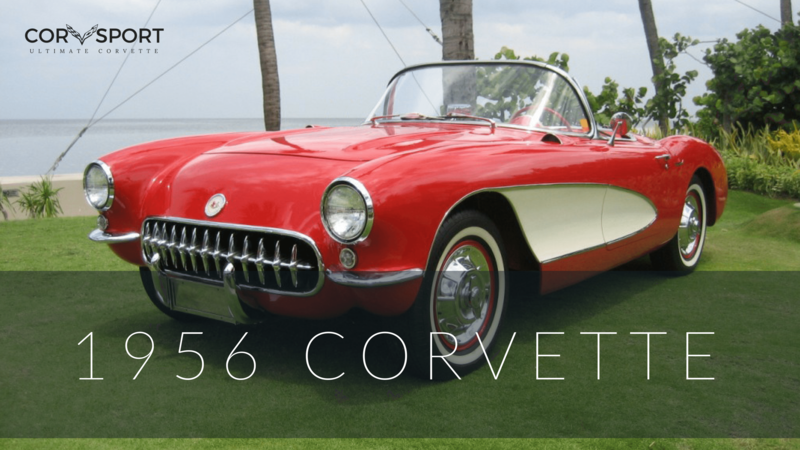 Earlier this week, Corvsport.com (along with everyone else) shared the announcement that Chevrolet had finally confirmed the existence of their mid-engine Corvette. 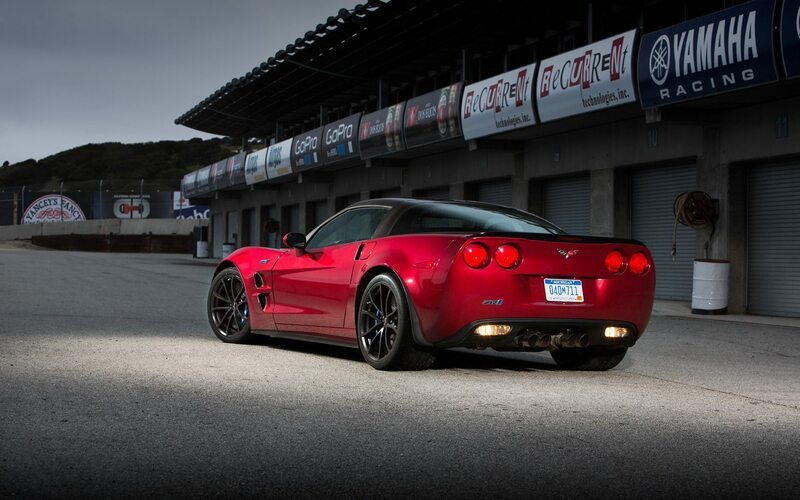 Although the official reveal event is scheduled for July 18, 2019, Chevrolet “unoffically” introduced the car on Thursday, April 11, 2019 in New York City. 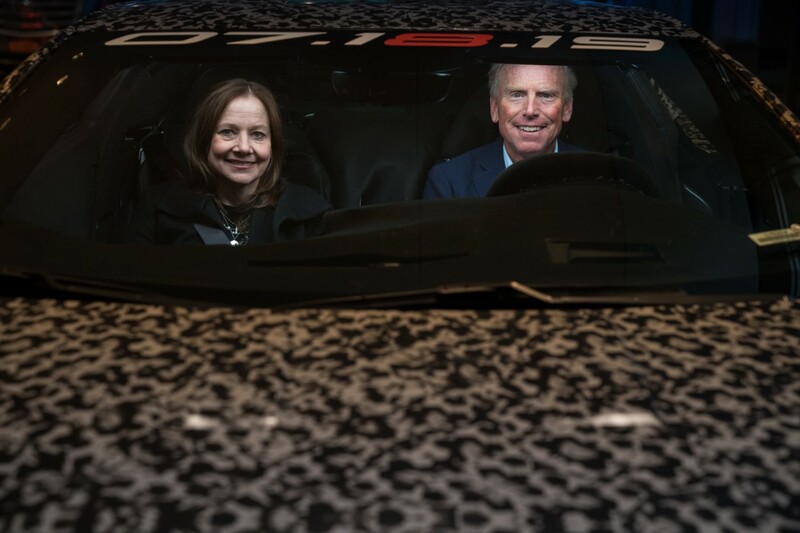 Corvette Chief Engineer Tadge Juechter piloted the car thru Times Square with GM CEO Mary Barra riding shotgun. 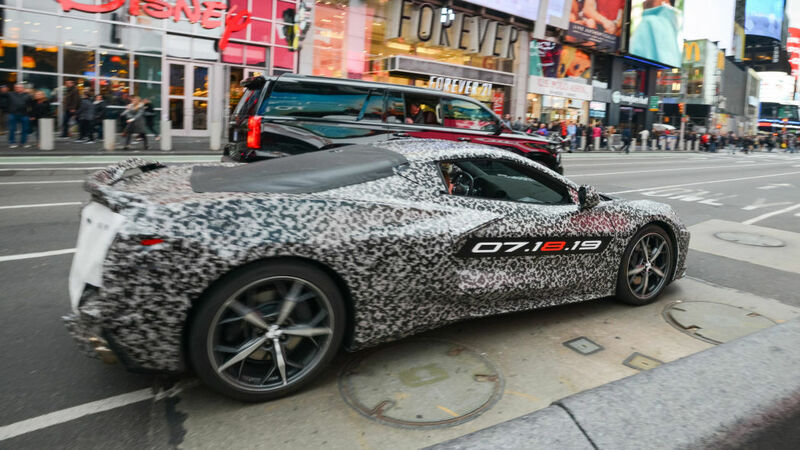 The minimally camouflaged mid-engine C8 stopped traffic at 7th Avenue & Broadway as it made its way to the Marriot Marquis Hotel where Barra publicly confirmed the next-generation Corvette. 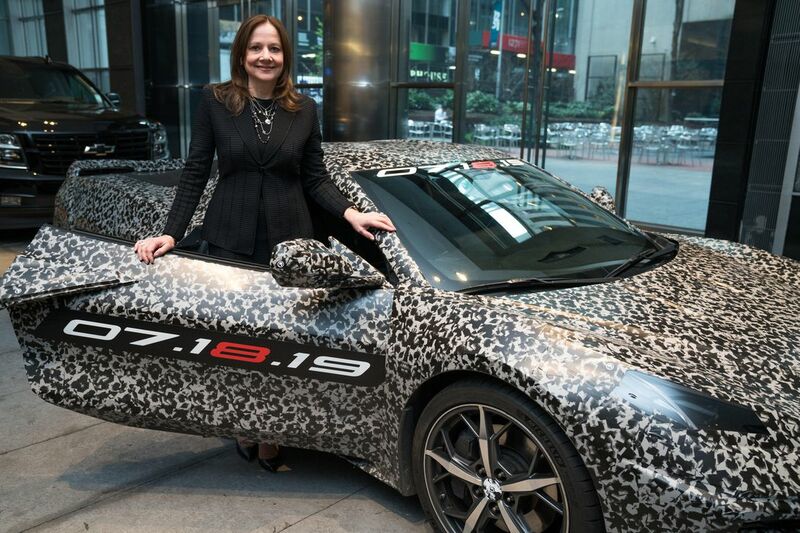 The C8’s Times Square debut was carefully choreographed to take place during the middle of New York rush hour. 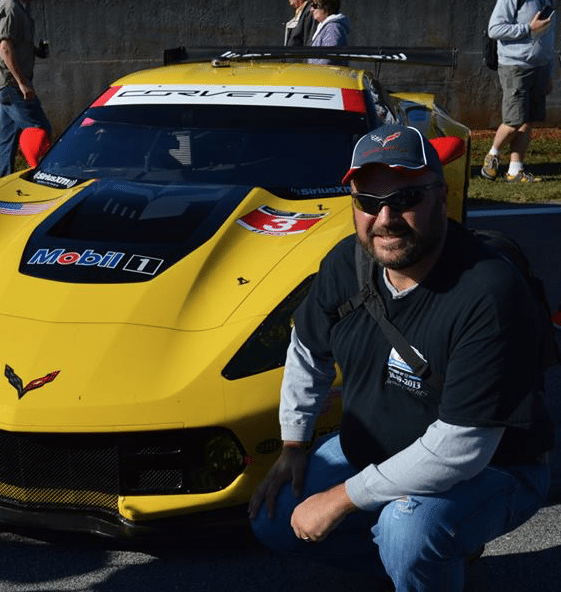 Juechter and Barra piloted the latest Corvette out of a Barclay’s Bank garage, where it had been secretly concealed earlier in the day. 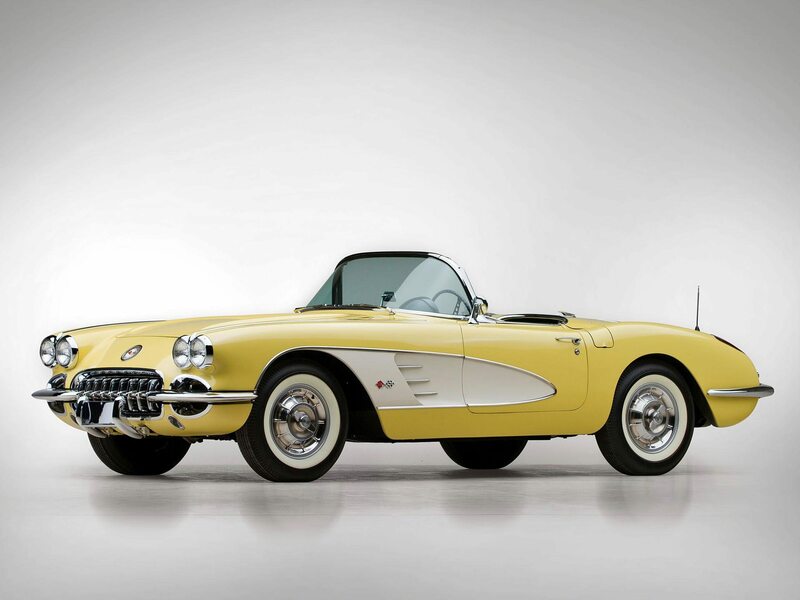 As Juechter pulled the Corvette out of the garage, the car was accompanied by four giant, black Chevy Suburbans along with one of New York’s finest on a police bicycle. The motorcade then made its way down 7th Avenue south of 47th Street and the giant Time Square grandstand. 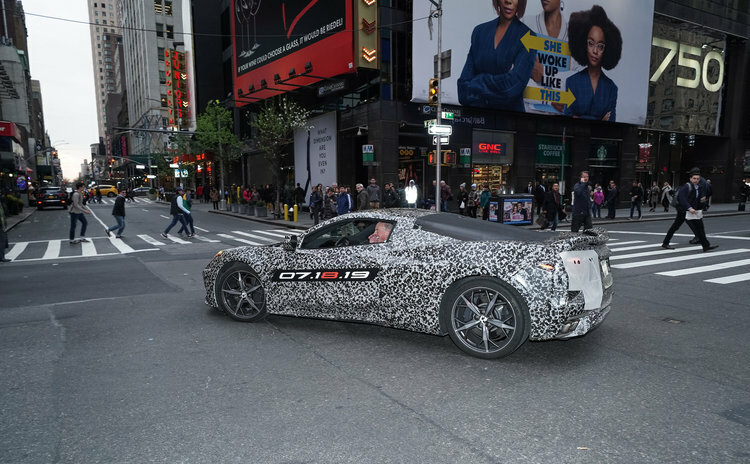 The new mid-engine Corvette weaves its way thru New York City on April 11, 2019. After discretely cruising the Corvette several blocks, (Juechter refrained from revving the engines or launching the car during the short jaunt thru New York City), he delivered Barra and the new C8 to the Marriot’s front entrance, where she would help host the annual “Footsteps to the Future” gala put on by the Stephen Siller Tunnels to Towers Foundation. The foundation honors New York fireman Stephen Siller, who died in the 9/11 attacks on the World Trade Center. 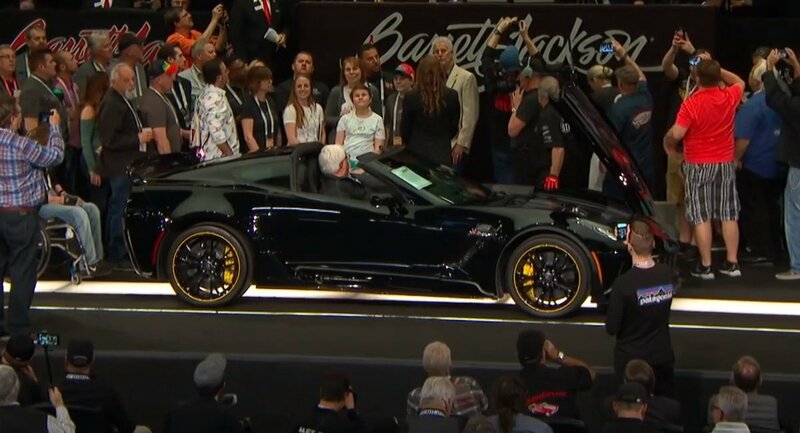 Along with breaking GM‘s silence on the C8, Barra announced at the Marriott charity gala that the final front-engine C7 (a black, 650-horse Z06 model) will be auctioned at Barrett-Jackson in Connecticut on June 28 — and all proceeds would go to the Stephen Siller Tunnel to Towers Foundation. The Next-Generation Corvette in front of the Disney Store in New York City. 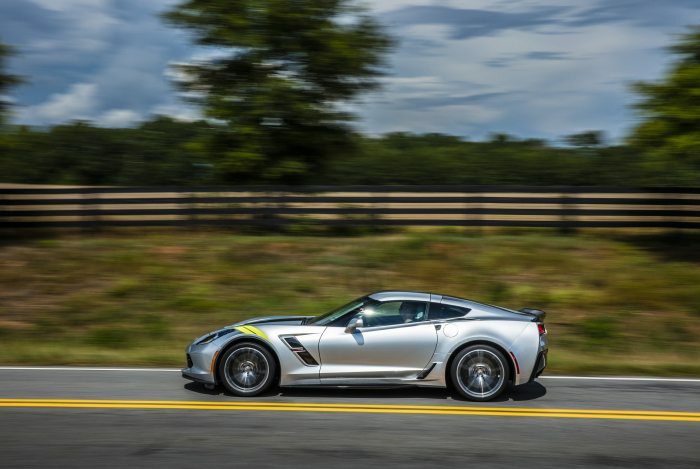 Chevrolet has not yet identified where the Next-Generation Corvette would be officially revealed, but we expect this information will be published well in-advance of the car’s official unveiling. Just the same, we’re going to be keeping a lookout for any information pertaining to the official unveiling. We’ll also continue to bring you the latest updates on the car as they become available. Corvette Chief Engineer Tadge Juechter and GM CEO Mary Barra arrive at the Marriott Marquis Hotel in New York City.